Talented chefs have worked up their own approximations of fast-food classics, in most cases vastly outshining their source material. "The nearest Shake Shack is 176 miles away. 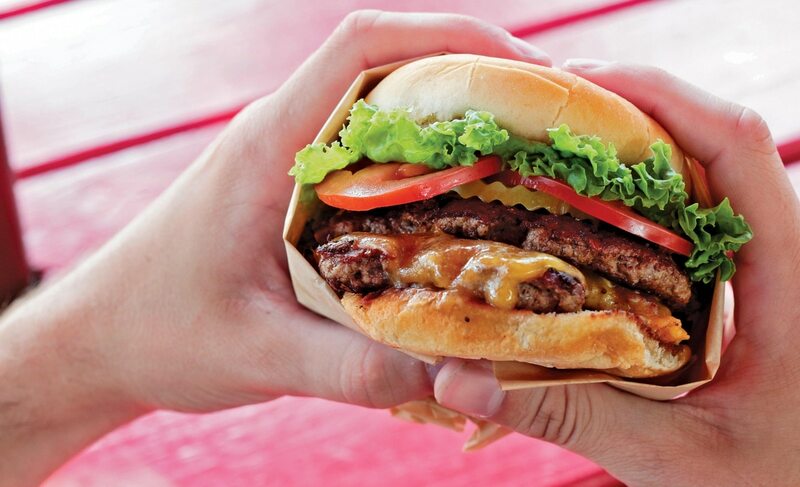 The closest In-N-Out is 245 miles. The nearest Chik-Fil-A is in Clackamas, but is the drive worth supporting their dubious politics? In Portland, we don't have a homegrown fast-food chain with the larger-than-life reputation of these titans. (Burgerville is technically a Washington operation.) But what we do have is a local restaurant and food cart scene where talented chefs have worked up their own approximations of fast-food classics, in most cases vastly outshining their source material. The Steam Burger at Gabriel Rucker's Canard is a version of the classic White Castle slider that is approximately 25 times more delicious than the already good original. Bunk Bar recently introduced the Bunk Burger, a spin on the classic Bob's Big Boy Burger which leaves the chubby, overalled originator's creation in the dust. Burger Stevens, Hit the Spot and Super Deluxe all serve Shake Shack-style burgers that are consistently more delicious than that wildly inconsistent franchise. So forget that three-, four-, or 12-hour drive to sample those legendary fast-food chains. Trust me, we've got far better versions here—and they're so close, you can even ride one of those godforsaken electric scooters on the way."